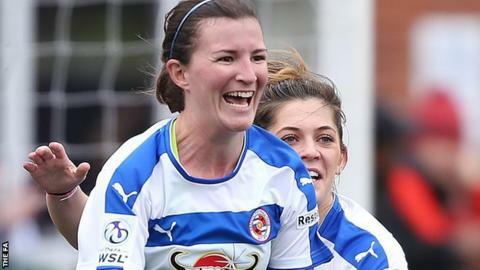 Wales Women's leading goal scorer Helen Ward is among three players to commit their future by signing new contracts with newly-promoted Reading Women. Midfielder Bonnie Horwood and Ward's fellow Wales international Laura-May Walkley have also agreed new deals with the Women's Super League club. Striker Ward, 29, scored 12 goals last season as she returned to football after the birth of her first child. Reading will join WSL 1 in 2016, having won the WSL 2 title on goal difference.